Winter brings frozen water buckets, mounds of snow, slippery ice and cold temperatures. These conditions can make it a challenging season for you and your animals. Before old man winter starts knocking on your door, take advantage of the remaining fall days to prepare your farm for winter’s chill. “When winter decides to make its debut, you’ll feel more at ease being prepared to take on whatever challenges it throws at you,” says Julian (Skip) Olson, DVM, technical services manager for Milk Products. Make sure you have plenty of bedding available to keep your animals warm and cozy through the winter months. At the very least, you’ll want to ensure you have access to an adequate supply. As the weather cools down, animals’ nutrition requirements go up. “It depends on the species you raise, but a range of 20 to 32 degrees Fahrenheit is the lowest critical temperature livestock can tolerate without additional energy demands to support their normal body temperature. For example, calves less than three weeks old can experience cold stress below 50 degrees Fahrenheit,” says Olson. For young animals on milk, you can supply them with extra energy by feeding a greater quantity of milk replacer or adding more feedings. Energy supplements are also available to add in milk replacer or whole milk to increase caloric needs during periods of cold weather. If you plan to welcome new animals during winter, you’ll also want to keep a supply of colostrum replacer on hand. For animals beyond weaning, feeding more grain, hay and forages can provide them with the additional calories they need to thrive. The pasture grazing days will soon be over. Having shelter ready for your animals when winter hits, will help minimize stress and ease the transition. Take time to look buildings and shelter over and make any necessary repairs – leaky roofs, cracked windows, broken doors, etc. “You’ll appreciate being able to make the repairs now, rather than later in frigid, winter weather. Your goal is to create an environment for your animals to stay clean, dry and comfortable,” adds Olson. If you have heated waterers, make sure to turn them on and double check that they still work properly. If you don’t have heated waterers, you can use heated water buckets or water heaters to keep water from freezing. Just as winter can be a difficult season for animals, it can also be a more challenging season for you. Take an inventory of your winter clothing supplies to make sure you have enough warm clothes on hand. “The more comfortable you are working outside in winter weather, the easier it will be for you to give your animals the proper care they need to thrive and stay healthy,” says Olson. “For people, there is no such thing as bad winter weather, only bad clothing. For your animals, make sure they have the right environment as described above so they don’t suffer with bad weather. By preparing yourself for winter, you’ll be ready to give your animals the best possible care, no matter what Mother Nature throws your way,” adds Olson. 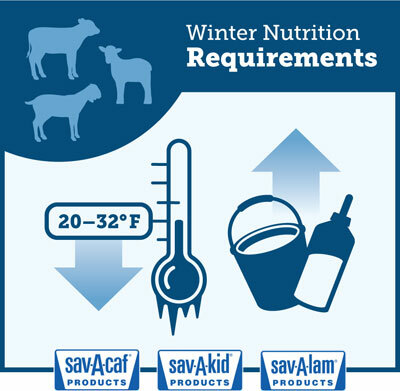 Learn more about young animal nutrition at savacaf.com or like My Farm Journey on Facebook. 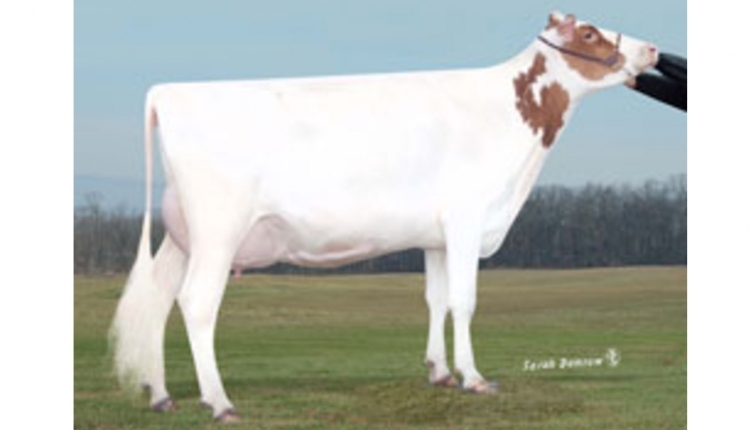 Milk Products, based in Chilton, Wis., manufacturers high-quality animal milk replacers and young animal health products. Using its innovative manufacturing technology, Milk Products produces over 700 unique animal nutrition products for numerous independent feed manufacturers, wholesale distributors, and large retail chains. Our customers choose whether these products are sold under their private label brand, or under the Sav-A-Caf® brand which is manufactured and marketed by Milk Products.